[UPDATED – 21st November 2017] – Black Friday and Thanksgiving is just around the corner! The biggest sale of the year is when musicians and producers get to buy the music gears, software, education and stuff at discounted rates. 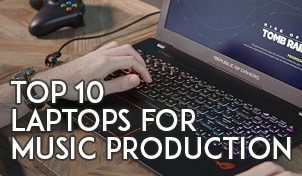 It’s the time of the year to save up on that hard-earned dollars and perhaps invest in things that only matters towards improving your art in music production. Here is a list of 10 things to buy during this year’s Black Friday sale. Just remember not to fall into the GAS (Gear Acquisition Syndrome) but to get only the gears you need and continue making great music! 1 – Native Instruments – Virtual Instruments Offer! Every year-end near Black Friday and Thanksgiving, Native Instruments is known to throw out deals for their products including their Komplete and Komplete Ultimate instrument and effects bundle. I usually buy and upgrade my copy of Komplete around the Black Friday month. Discounts can go as high as 50%, so you’d want to stay subscribed to Native Instruments newsletter to get the latest news and offers. Investing in Komplete for a multitude of sounds was one of the best investments I’ve made in my music production career. If there is someone who tells you otherwise, it’s most probably they didn’t take time to learn up all the synths, instruments and effects that come together with Komplete or Komplete Ultimate. Other great virtual instruments to invest in if you already have Native Instruments is, Heavyocity, Output, XLN Audio, the list goes on. Heavyocity and Output are great for shaping your sound and getting creative. There is whole bunch of plugin sale for Black Friday now, listed here are some recommended ones! Scarbee Sale – Over 50% off selected Scarbee instruments. Finding a need to upgrade your sluggish PC or laptop? Now is the time. I previously posted about some guidelines when choosing your computer for music production. Here are some guidelines when choosing a new PC or laptop for production. Buy the fastest processor you can afford. The processor is like a brain that does all the processing. You’d definitely want a fast processor if you use a lot of effects in your music. Buy SSD hard disks if you can. If not, get spinning hard disks with speeds of at least 7200rpm. As you build your tracks in your DAW, you’ll need your hard disk to be fast to record & playback more tracks simultaneously. Start off at 16GB of RAM. These days, 16GB of RAM is bottom-line for most producers who toys around with VSTs and instrument samplers. Get a decent graphics card installed on your computer or buy a laptop that has a decent graphics card. You may think that there’s no need for a graphics card, but I promise you that you’ll get in a project that needs you to score music to picture, or you’ll find yourself editing videos for YouTube. Besides, did you know DAWs like Cubase are capable of using your graphics card for plugin processing? Sadly I doubt Apple ever hold any real promotions for their products. We all can never seem to have enough plugins and effects. There’s always a tendency to try new effects and experiment to get different sounds. This is the time of the year to add on to your arsenal of effects, instruments, loops & samples. Loopmasters & PluginBoutique, under one roof, is known to throw extra saving deals during the Thanksgiving month. Perhaps it’s their way of giving back to producers and encouraging you to produce more music. PluginBoutique offers one of the lowest pricing for VST instruments and effects on the internet. You’ll earn points which can be used to get your future purchases at even lower prices. 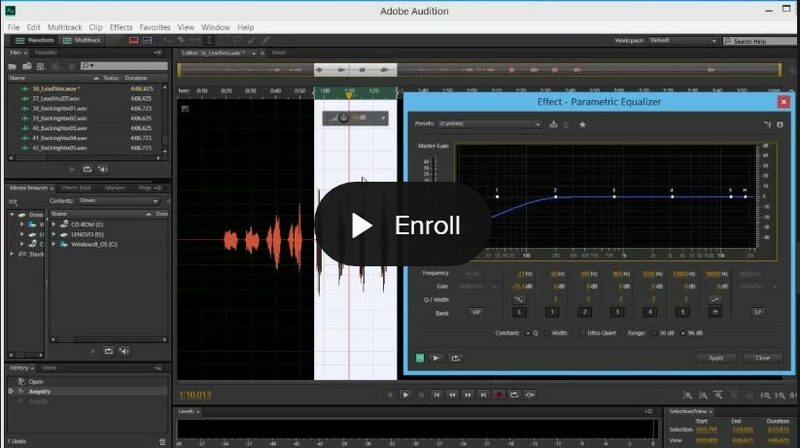 While you’re there, make sure to look at some free VSTs and effects that they so often have on the site. Just remember not to go effect frenzy. One of the best investment for your music career is education. No amount of gears or music software can make you a better producer, except yourself. People choose to produce music with you, because of what you can do. It isn’t how cool you think your gear is. So this Thanksgiving, instead of splurging on music instruments, gears, and software, perhaps it’s best to invest in your skills. The courses go as low as $10 during Udemy’s Black Friday sale, so if you have been eyeing a course for some time, its the perfect time to grab it now. One of the most important components in your studio is your monitors. To be able to produce good music, you need to be able to monitor accurately. That said, one of the best investments after polishing your skills could be your studio monitors. I usually recommend buying 8-inch studio monitors if you have the budget. If not, try to get a decent 6-inch studio monitor at bare minimum, bearing in mind you’ll lose the bottom end when mixing. However, at the end of the day, it’s really understanding your studio monitors that would enable you to mix accurately. 6 – Buy A Second MIDI Controller – For travelling maybe! The most common type of MIDI controller in the studio is the keyboard MIDI controller. Try spicing up your production workflow and creativity by switching to a different type of MIDI controller! Because the way you play a percussion MIDI controller like the Ableton Push is different from how you would on a keyboard MIDI controller, making a switch this Thanksgiving can give you different musical ideas. There is a difference between a $300 microphone and a $3000 microphone. Your trusty entry-level condenser microphone might sound great to your ears, but soon you’ll outgrow the sound and begin to desire for more. The problem is good microphones can be really expensive. The good news is that microphones rarely get damaged if you take good care of it. Investing in a good microphone will leap your career further. However, I do not suggest blowing all your budget for a single microphone. It’s often better to have a few microphones lying around in the studio than to just having one microphone. As a producer who relies on lots of VSTs and software processing, I rarely talk about using a microphone pre-amp. However, if you do lots of vocal recordings, having a greatly dedicated microphone pre-amp can change how your recordings sound. After all, your sound quality would simply be affected if you have a great microphone but do not have a good pre-amp to amp the microphone. Producing music takes up a lot of time. 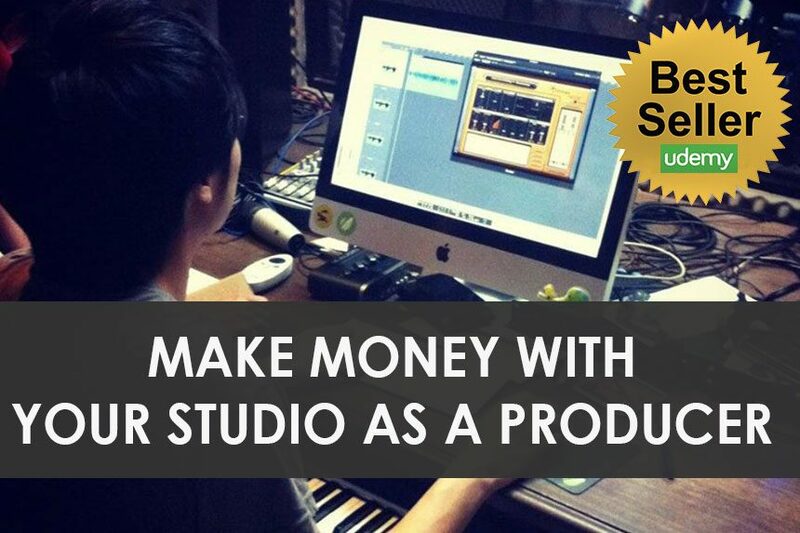 Most of the time you’ll be sitting in front your desk and make music from hours to end. Because you’ll be sitting most of the time, it makes sense to invest in a good comfortable chair. 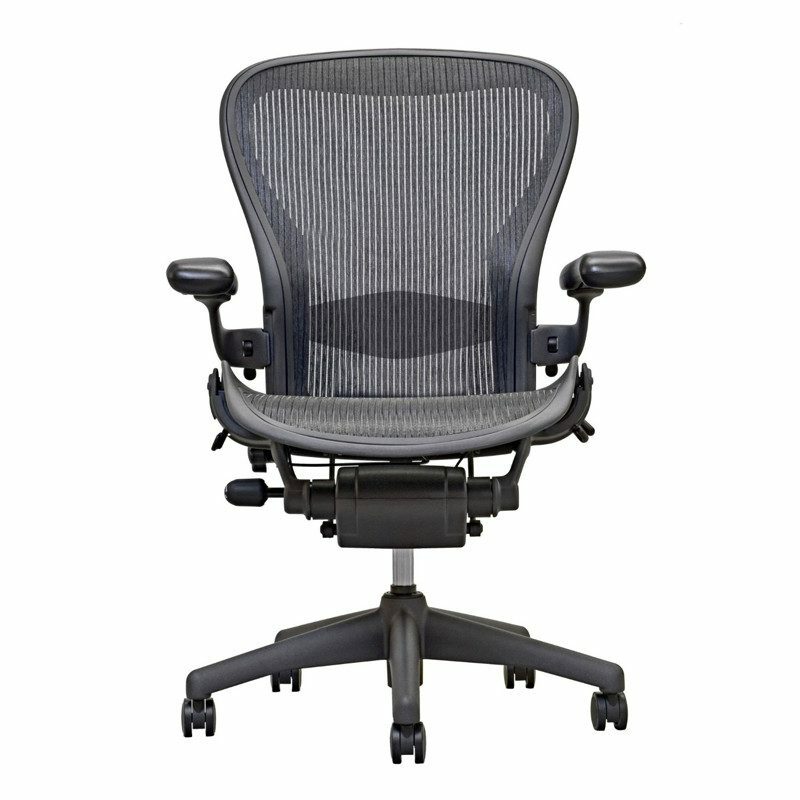 Find an office chair that has good lumbar support for your back. I tend to avoid buying leather chairs as they can build up heat and quickly get uncomfortable to sit in despite the premium feel. I recommend going for chairs with mesh back and seat for a more comfort. This Thanksgiving, your back deserves something. Okay, I admit this one has NOTHING to do with Black Friday or Thanksgiving, but it has everything to do with you. Sitting too much does not do any good for you. I know many producers who are obese and unfit because of their long hours in the studio. A few years ago I was definitely about to be one of them before I started hitting the gym and doing some exercise. Exercising keeps your fresher. A better body and better mind mean a better flow of creativity. Your image counts. If you’re given a choice to work with a producer who looks great and a producer who slumps on his chair looking obese, who would you go for? If the obese producer can’t even take care of himself, would he be able to take care of your music? Exercise improves mood. If you look great, you’ll feel great. Exercise gives you better sleep. Who wouldn’t like a good sleep before going to tackle the next day? 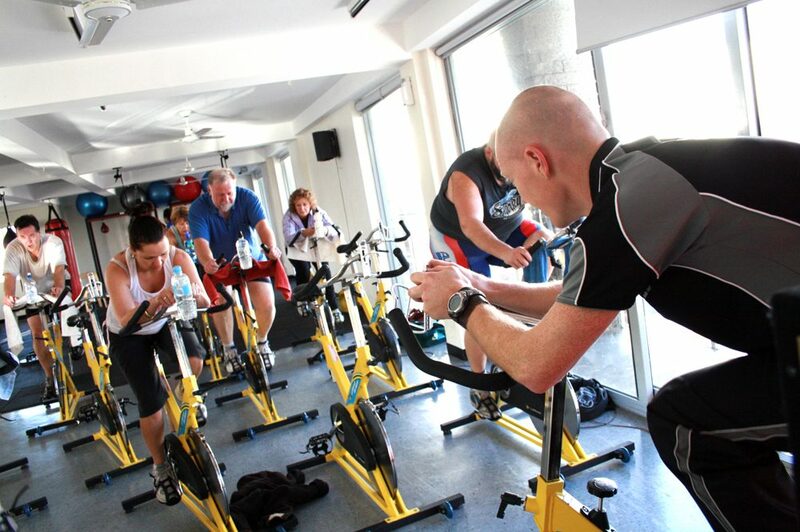 So why a gym membership? Simple, because when you pay for something you’ll have greater tendency to go consume it. In this case, you’ll hit the gym more often. I hope this lists of recommendations would help you become a better producer and musician. I must stress again that you must never fall into the danger of getting infected with GAS (Gear Acquisition Syndrome). What really matters is the work you do every day and not the gear or cool stuff you own. Do continue to make great music and let me know what you invested in during this Black Friday sale. For myself? I spent a good amount of hard earned cash on extra music production courses to get better. I also booked a flight to a country that I’ve been wanting to go. 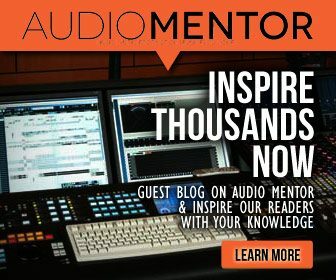 Very good tips and very balanced in this world of “buy now”…!A single question: Why all the best DAW-s are so complicated? and what you choose if your patience,like a performer,is smaller than your programmer skills? So much settings and settings…What’s the DAW who can give you automatic settings for your tracks when you use vst instruments…? Thanks! If I were to be a critical musician and nothing near a programmer, I’ll go with Logic Pro. It’s one of the simplest DAW to learn. I’d go for Logic Pro if I’m looking for simple and just get producing mindset. But honestly, there’s a lot of programming and technical skills to learn when producing with DAWs.